56" Tall Foam Basic Column - Dino Rentos Studios, INC. These are basic painted foam columns. Perfect to decorate a party or event. The base and cap are gold. 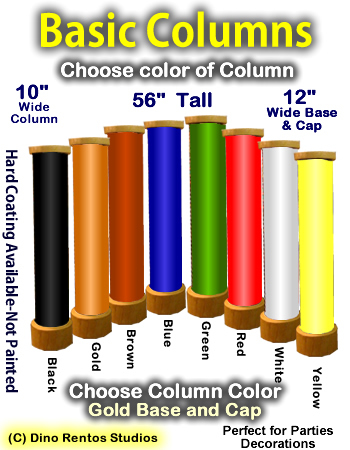 You choose the paint color of the column. These are ready to use out of the box, no assembly required. Add your own decoration on top to match your event.